Yet another state is standing up against keeping whales and dolphins in captivity. A Washington State lawmaker proposed a bill that would outlaw zoos and aquariums from keeping wild-caught or captive-bred cetaceans (whales, dolphins and porpoises) for entertainment purposes. State Senator Kevin Ranker introduced the legislation this week. "They're used to swimming hundreds and hundreds and thousands of miles and we're putting them in tanks the size of the Washington state Senate floor," he told Northwest Public Radio. "It's disgusting." The bill, which contains an exemption for facilities to temporarily hold cetaceans for rehabilitation or research, indicates that all animals that are unreleasable should be moved to sea pens to live out their lives in more natural settings. Washington isn't the first place to introduce legislation like this. Earlier this week, Ontario announced a ban on selling or buying orca whales for captivity. Last year, New York state and San Francisco passed similar measures, and another is pending in California. While there are currently no captive cetaceans in Washington, the state is no stranger to the effects of marine mammal captivity. In the 1960s and 1970s, hundreds of orca whales were captured for marine parks off the state's coast, many of them going to SeaWorld. 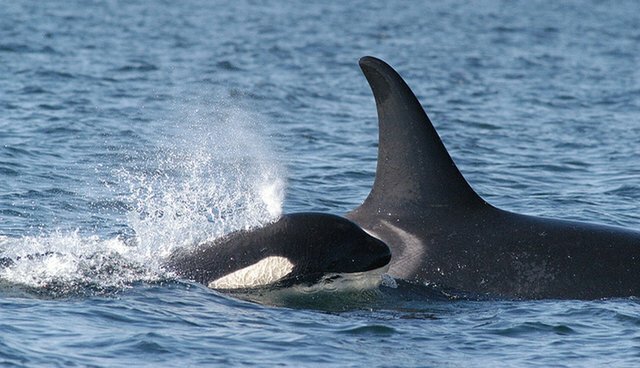 Ranker, who lives on Orcas Island, a site where wild orca pods often swim by, told NWPR that a trip to SeaWorld San Diego was what turned him against the practice. "It was a very powerful experience for me and not a positive one," he said. Animal advocates are celebrating the bill. Jeffrey Ventre, a former orca whale trainer at SeaWorld who appeared in the documentary "Blackfish," told The Dodo that the plethora of legislation against cetacean captivity is the "proverbial writing on the wall." "Most politicians do not want to be on the wrong side of history ... there are a lot of countries around the world that are potential hosts for SeaWorld-like facilities, such as the UAE, which includes Dubai," he said. "This pre-emotive prohibition of dolphin circus shows sends a clear message to investors all over the world. Like it or not, many countries follow the lead of the USA. As the captivity biz crumbles here, it sends ripples everywhere."